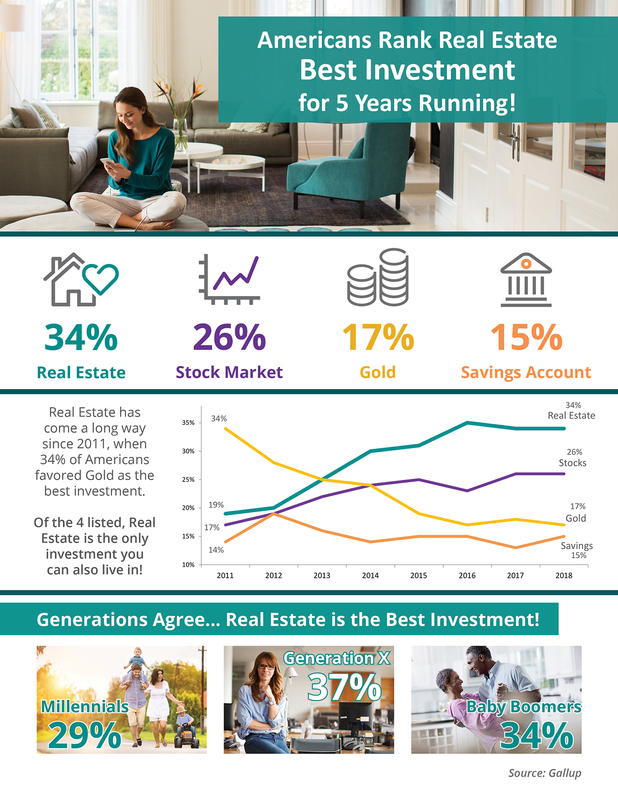 Real estate has outranked stocks/mutual funds, gold, savings accounts/CDs, and bonds as the best long-term investment among Americans for the last 5 years! The generations agree! Real estate is the best investment! Generation X leads the way with 37% believing in real estate as the top investment.